You feel like you’re in Paris! As you enter, you are met with a rockin’ DJ (who, just like the rest of us, love to snap photos) to keep your vibes and energy high. 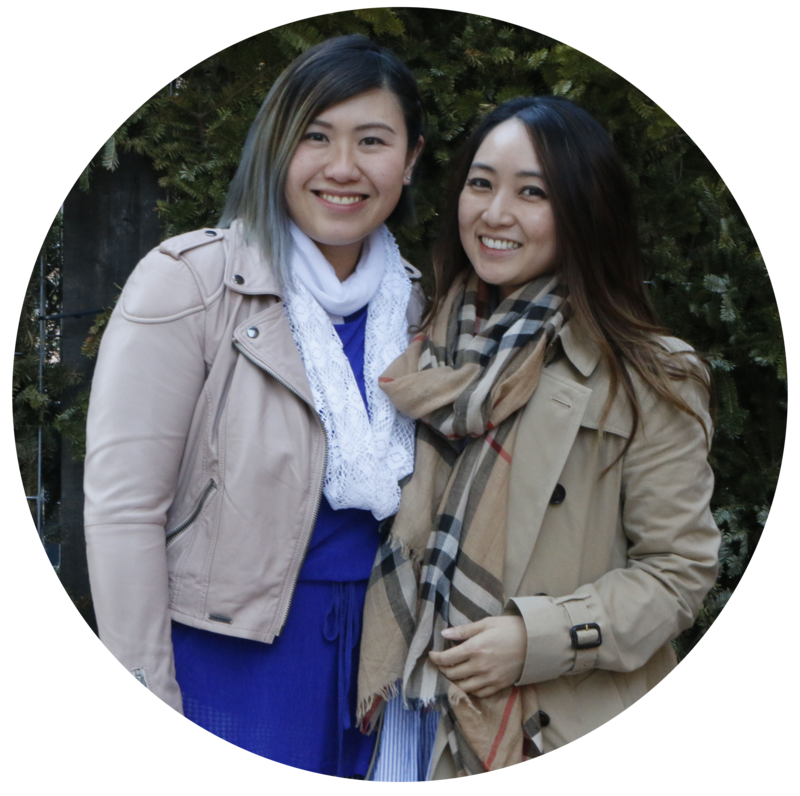 The cafe is chic, all-white, and accommodates 50 patrons during patio season. Delysées has become a downtown Toronto favourite, offering over 20 flavours of macarons & éclairs (the largest selection in the city); a wide selection of mini-gourmet sandwiches; high-end French pastries; exotic cakes and exclusive individually sized desserts – all made fresh daily in Delysées’ state-of-the-art kitchen. The turn out was great for this summer party with people coming and going (mostly staying!) through the doors from 6-9pm. The Summer Rendezvous celebrated Delysées‘ partnership with The Grange of Prince Edward. 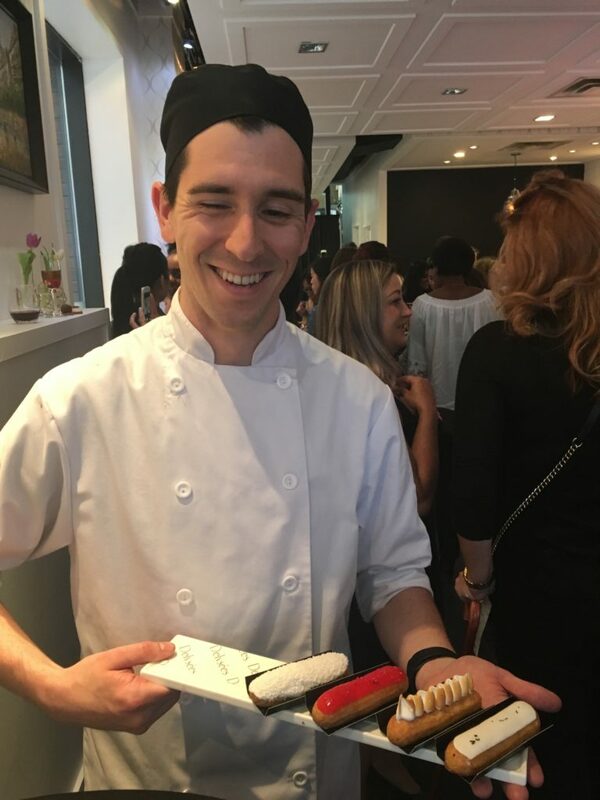 Sparkling wine, and a red & white selection were served with the new “mini”collection of bite-sized éclairs, tarts, cakes and cheesecakes as well as the one-of-a-kind Grange of Prince Edward Brut infused macarons, éclairs and other treats. I was in a sweet kind of heaven… mini bite sized treats are my fav! The blueberry cheesecake was one of my favs that night! Absolutely delicious. A must order for cheesecake lovers. This was how dessert came… in trays and trays, by very friendly servers. 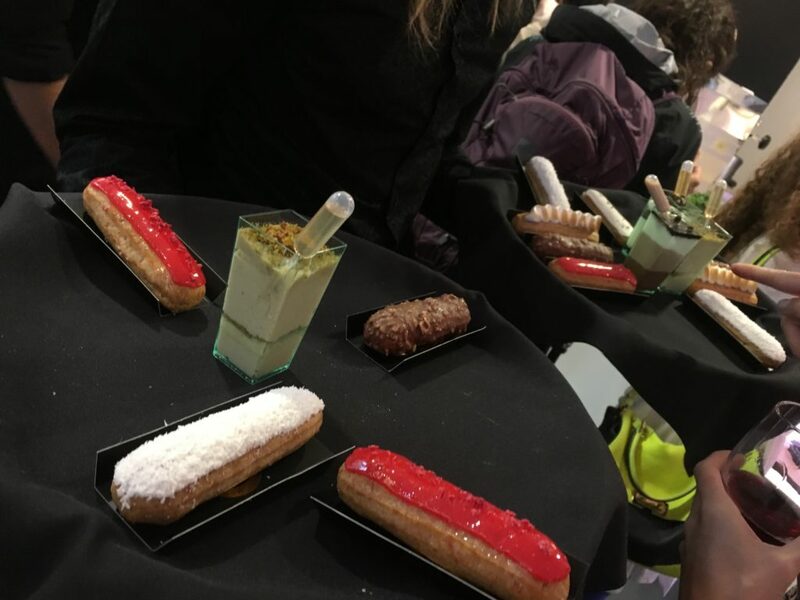 Imagine free-flowing dessert after dessert, and this was it. It was an amazing experience. There’s nothing worse than stingy sampling, and this most definitely was the opposite! 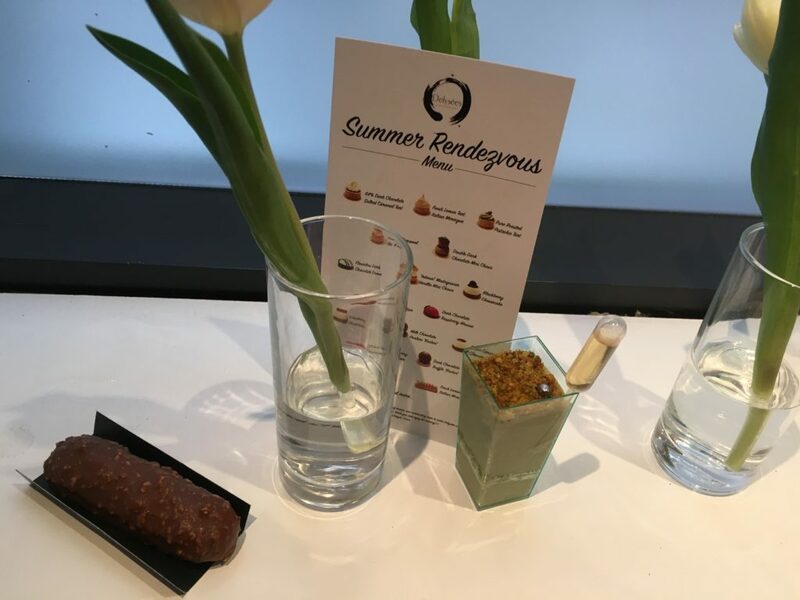 It was a very generous enjoyment of and indulgence in sweet petite treats, that I have experienced thus far. Can éclairs get any prettier than this? 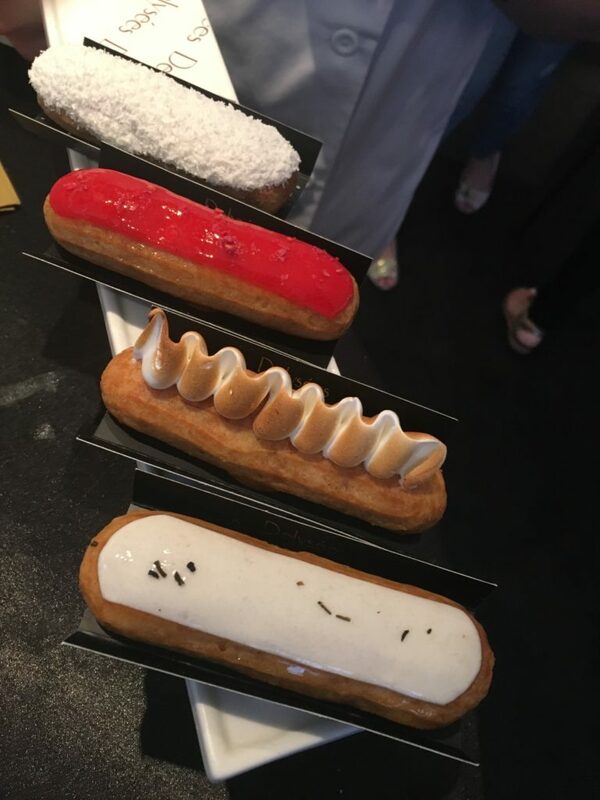 I have never really liked éclairs all that much, but Delysées is certainly changing my mind! 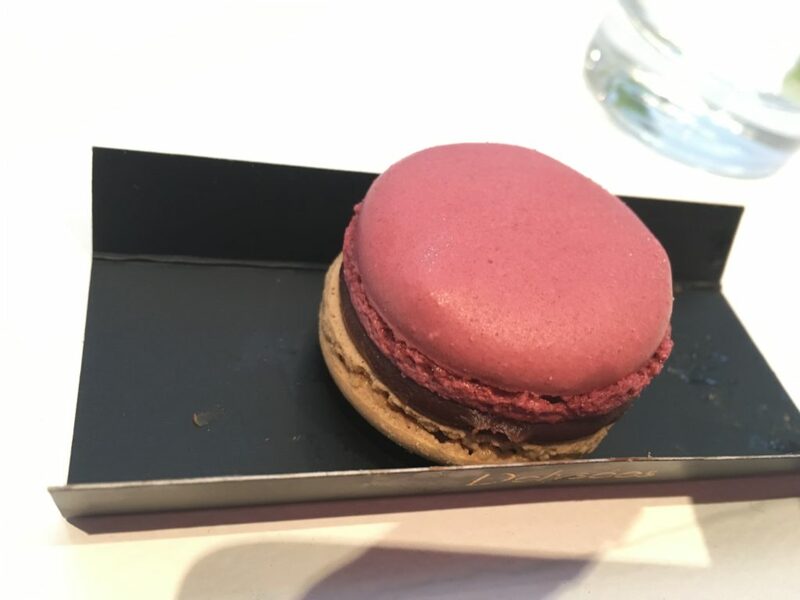 And of course I had to have the obligatory macaron! Very satisfying. I had a few more selections than what I posted above, but you get the idea! 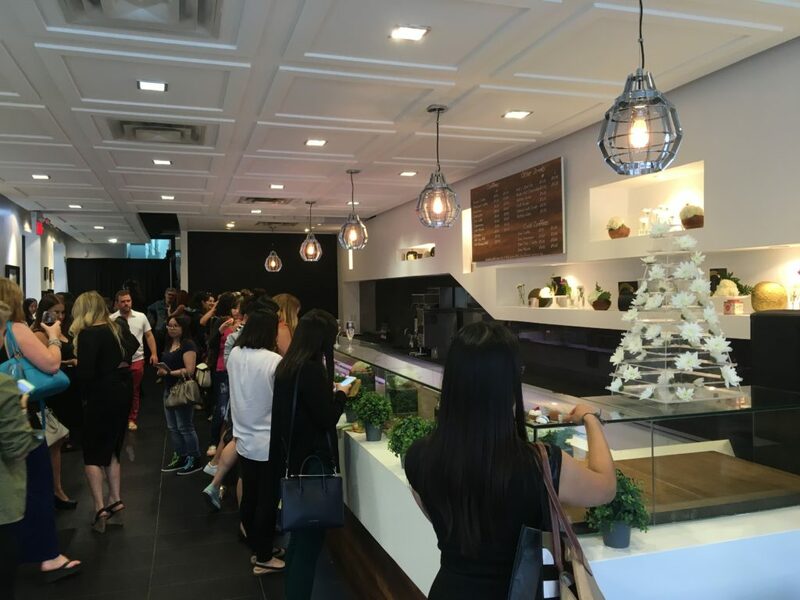 If you’re looking for a great Toronto dessert cafe, look no further. 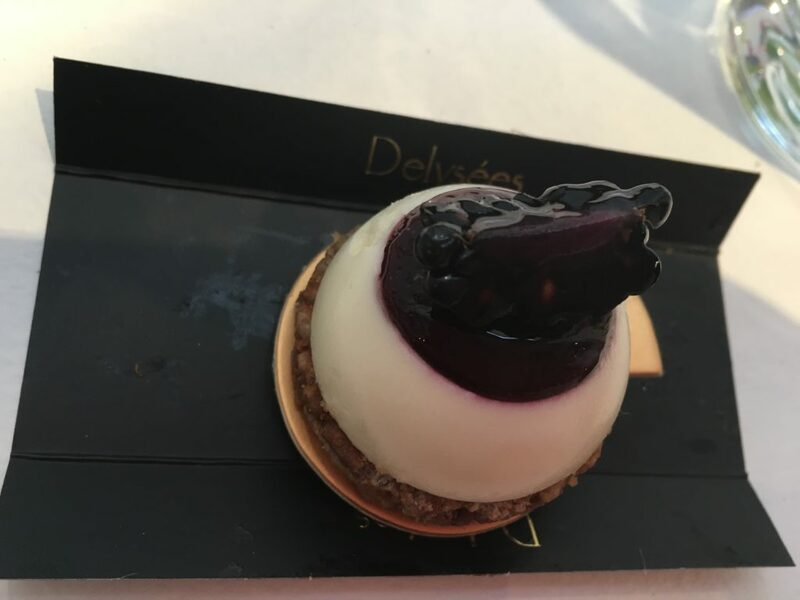 Delysées on King West is your best bet, with their variety in dessert selection, friendly service and chic and comfortable ambience. We will most definitely be back, as I did not get a chance to try their Pistachio tart and latte. Definitely looking forward to my next visit there this summer! 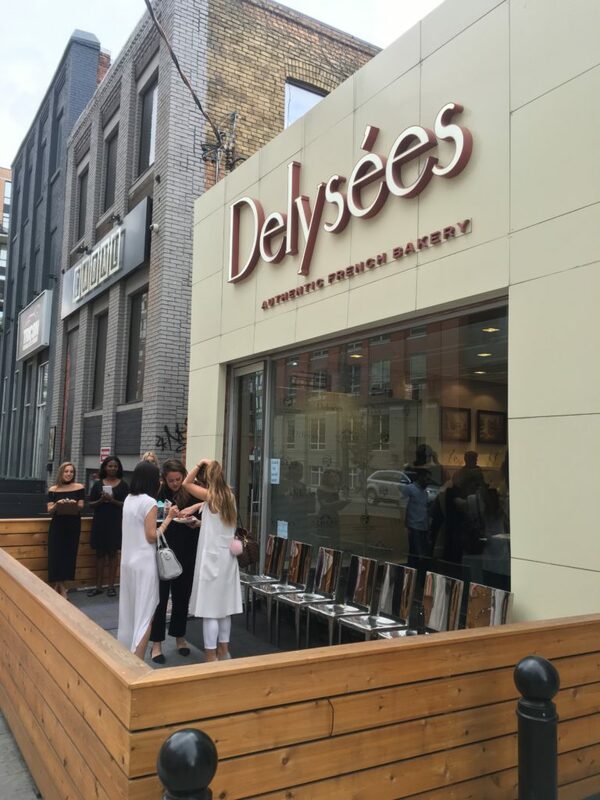 Thank you Delysées for putting together such a fun and memorable event. 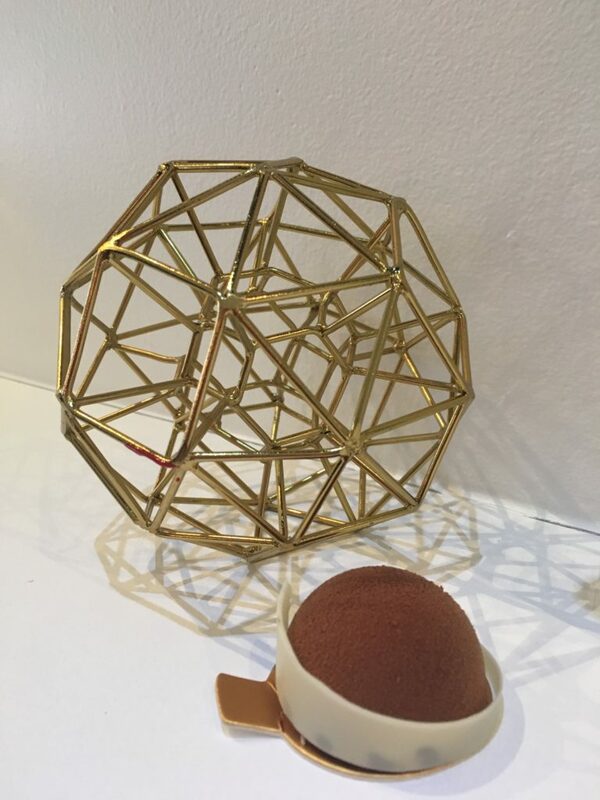 We had a blast and can’t wait to see what other mini treats you dream of next!